The Model 50548 is designed to measure the quality and continuity of the equipment grounding conductor and its frame. A front panel receptacle and the test probe allow for easy connecting and testing. Quality and Continuity of the ground conductors to the frame of the equipment is tested by operating the "ON/OFF" switch. Indicates a pass condition of the equipment ground continuity. Displays the current draw of the ground continuity of the equipment under test. 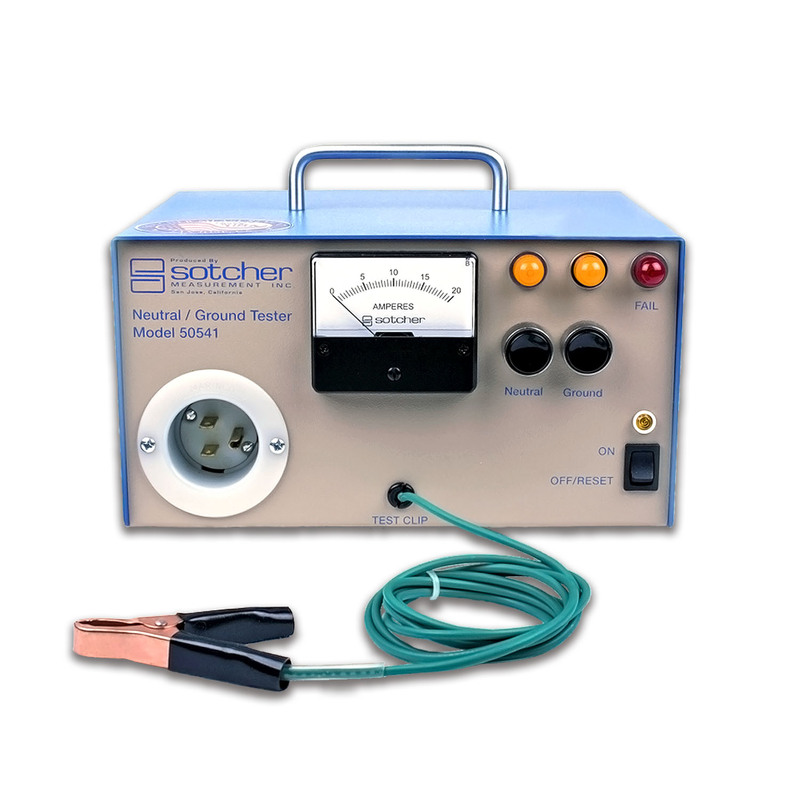 Built, Sold and Serviced in the U.S.
For over four decades Sotcher Measurement, Inc. has provided latest state-of-the-art electrical test equipment that is easy to use and maintain. Our customers rely on our products to verify the safety of the electrical devices they rent, use or manufacture. We feel this commitment very deeply. In response, we do our utmost to insure that the products we offer are of the highest quality and performance, consistent with good value. We continue to design, manufacture and service all of our products in the United States. We are proud to be able to offer our customers fine American products that are easy to use at a practical price. "Definitely a good, top of the line product. Nobody questions the battery after it has been tested with the ni-cad battery tester. Can't beat the 627 when it comes to checking ni-cad batteries."